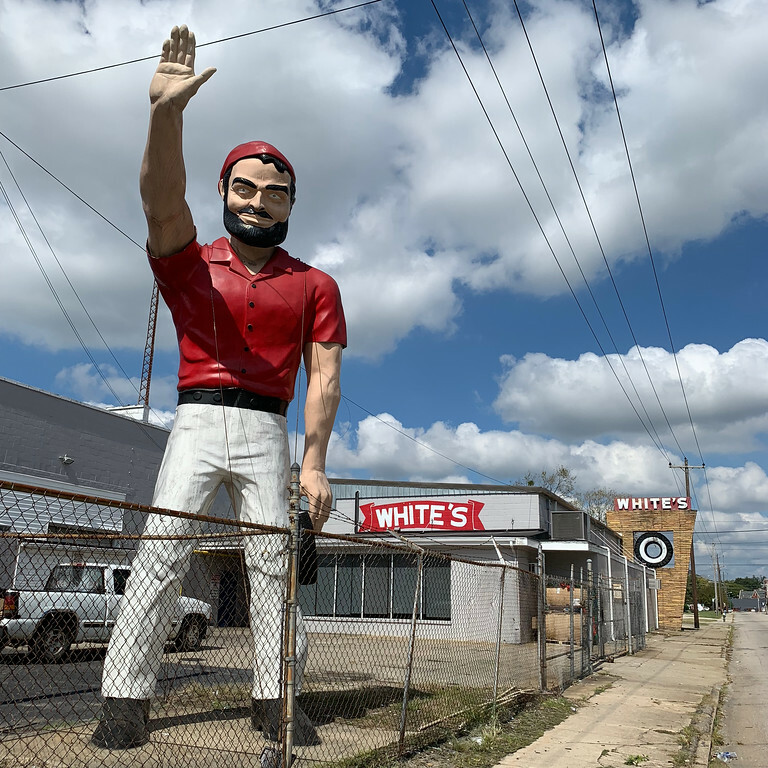 Do you think the people who live in this neighborhood are tormented by the irresistable urge to wave back to this muffler man? I mean, look at him. What a friendly guy. Maybe it’s like when you ride by horses and say horses or moo at cows when you pass. Or maybe I’m losing my mind. Always wave, always winny, always moo. There are requirements for other things, but you’ll have to make that up as you see them (sheep, goats, llama, rednecks). I’m not comfortable saying what that Muffler Man evokes in my head. Glad I don’t have to pass him on a regular basis.